LFR currently has two triathlon coaches: Emily Chong and Alex Carington. Coming from a team sports and Martial arts background, Emily switched to triathlon 10 years ago after sustaining a number of injuries. From learning how to swim, bike and run to racing at the ITU World Championship took her 2 seasons, and after 3 of those, she moved on to Iron distance and open water challenges. Emily has swum the Gibraltar Strait, the English Channel and Lake Geneva. During those long hours in the water, and picking out elements of other coaches she has developed a way to teach swimming that is biomechanically optimised for injury prevention, power output and endurance. Emily currently coaches at club level and specialises in beginners’ development and injuries rehabilitation. 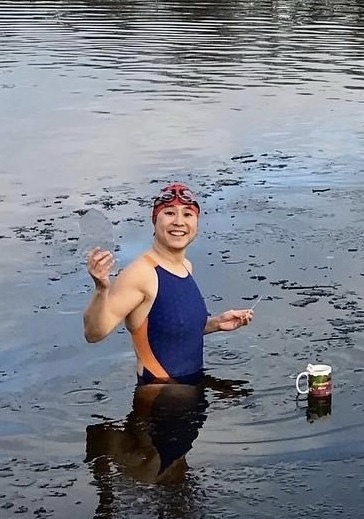 She also works for Physio Remedies and races in anything that involves swimming in icy water, consecutive days in the saddle, running uphill, or a combination of all the above with a head torch. Alex came to sport and triathlon later in life. 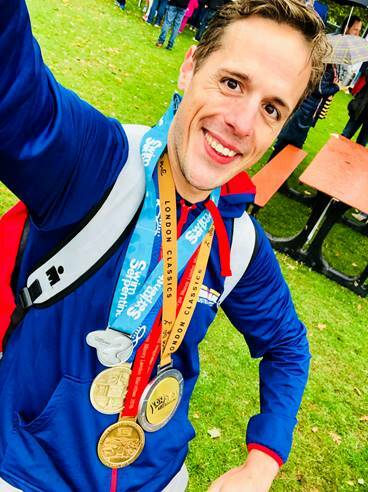 Initially from a running background, Alex started triathlon in 2016 in order to minimise injuries and to cross train but quickly became addicted to the sport. Alex has progressed from sprint distances to Ironman and has a preference for endurance events. Alex helped to set up the triathlon section of LFR to bring together the number of triathletes who already existed in the club and encourage more members to try triathlon. Whilst most triathletes carry out most of their training solo, Alex organises long rides for members (cake stop mandatory) and swim sessions with a focus on drills and socialising afterwards.